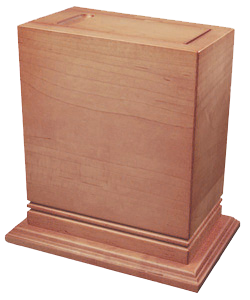 Scattering urns are available in many styles shapes and colors. Some scattering urns are made to scatter the ashes at sea and some are better suited to scatter over land. Some are suited for both. Scattering urns that are biodegradable can be floated on the water or buried in the earth where they will slowly dissolve, returning a loved one to the earth.